Different way to study. Same quality degree. As the workforce changes, now more than ever, it’s essential to future-proof your career. UOW’s online degrees are designed and taught by industry leaders and world-class academics – the same as our on-campus degrees – to help you gain valuable skills and a recognised qualification that will put you at the forefront of your industry. UOW’s online courses are a flexible, convenient option if you’re looking to earn a postgraduate degree that’s identical in quality and reputation as those studied on campus. The best part is you can study when and where it suits you. 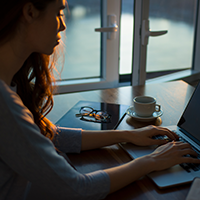 For any domestic or international student enrolling in the Graduate Certificate in Business (Online) in 2019, an automatic 15% fee waiver will be applied to the cost of the degree. These courses are eligible for a Commonwealth Supported Place (CSP) - find out more here. The courses listed above are eligible for a Commonwealth Supported Place (CSP). Find out more here. * For any domestic or international student enrolling in these online courses in 2019, an automatic 15% fee waiver will be applied to the cost of the degree (the discount only applies to full fee paying places). * For any domestic or international student enrolling in the Graduate Certificate in Maritime Studies (Online) in 2019, an automatic 15% fee waiver will be applied to the cost of the degree. For any domestic or international student enrolling in the Graduate Certificate in Biofabrication (Online) in 2019, an automatic 15% fee waiver will be applied to the cost of the degree. 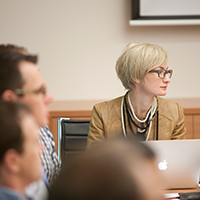 The following courses are offered mainly online, with a component of face-to-face learning. This means you will come onto campus from time to time, offering a good mix of studying at a time that suits you, as well as a chance to meet other students studying the same course. These courses are eligible for a Commonwealth Supported Place (CSP). Find out more here. UOW’s online courses are offered part-time and are self-paced, so you can fit your learning around your lifestyle. With no set daily class times, this means you can study at any place, any time of the day – whatever works best for you. 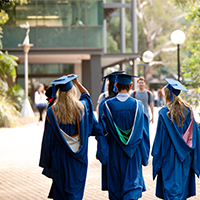 By earning your postgraduate degree from UOW, you can graduate knowing you’ll be highly-regarded by employers, who rate UOW graduates among the top 2% in the world. If you’re looking to get ahead in your career, or change it completely, postgraduate study is shown to lead to promotions and pay rises. Postgraduates earn on average $20,000 more than those with only an undergraduate degree.